It is not every day that your back yard is recognized by Conde Nast as the number one ski mountain in not only the nation, but in all of North America. As voted by readers, the best of the best list is determined by numerous factors, including terrain, speedy lifts, apres ski, and accomidations, to name just a few. Beaver Creek Opens Today, Warm Cookies Await! Behold the power of the power of Beaver Creek's Chocolate Chip Cookie Competition.. Oh and Beaver Creek Opening Day. Today, at 2pm, skiers, strollers and shoppers alike will have the opportunity to sample 5 different chocolate chip cookies cooked by local bakers; the top cookies from 106 original entries. Judging starts at 2pm and lasts until the cookies are gone. The winners will be announced at 4pm from the Village Grand Staircase. Enjoy your tasting! To learn more about Beaver Creek events, please visit www.beavercreek.com or contact Aubrie. Read more about Beaver Creek Opens Today, Warm Cookies Await! The Vilar Performing Arts Center has just announced it's summer concert series. Located in the heart of Beaver Creek, the Vilar Performing Arts Center is a 530 seat theatre that presents a variety of year round performances including jazz, comedy, dance, film, theatre, rock concerts and more.? This summer's 2011? concert series?features an all star line up! Oxford Court Condominiums?are?located within walking distance of? the shopping Plaza, restaurants and the Vilar?Center of Performing Arts?in Beaver Creek Village.? ?These?condominums are very spacious 2 bedroom, 2 bath or 3 bedroom, 3 bath units with fireplaces, washer/dryers and lots of natural light.? The building amenities include a pool, hot tub, underground parking, a front desk and ski in/ski out location. ?You can ski to Chair 14 or take a short walk to either the Strawberry Park or Centennial Express Lifts. Downhill Training at 11 a.m. Giant Slalom at 9:45 a.m. and 12:45 p.m.
Beaver Creek's Talons Challenge is set for January 23, 2010. The Beaver Creek's Talon's Challenge is set for Saturday, January 23, 2010.? This ultimate challenge is in it's seventh season, for skiers and snowboarders who want to tackle all 13 of the resort's steepest and bumpiest black diamond and double black diamond runs on the legendary World Cup Birds of Prey downhill course,?Grouse Mountain, the flanks of Larkspur Bowl. Skiers and Snowboarders of all ages are eligible but space is limited to the first 1,500 people who sign up.? For more information and to?register please visit:? www.beavercreek.com/talonschallenge. The event includes the Talon's Apres Party at Red Tail Camp, aid stations offering snacks and drinks and prize giveaways.? ?Participants in the challenge will earn a spot on the Talon's Wall-of-Fame at Red Tail Camp. For more information on winter activities in the Vail Valley please feel free to call Betsy Randall at (970) 401-3011 or?visit our website:? www.gatewayland.com. Read more about Beaver Creek's Talons Challenge is set for January 23, 2010. The Ford Residence at Beaver Creek, Colorado is on the Market! Own a piece of history in the world-class Beaver Creek, Colorado ski resort. 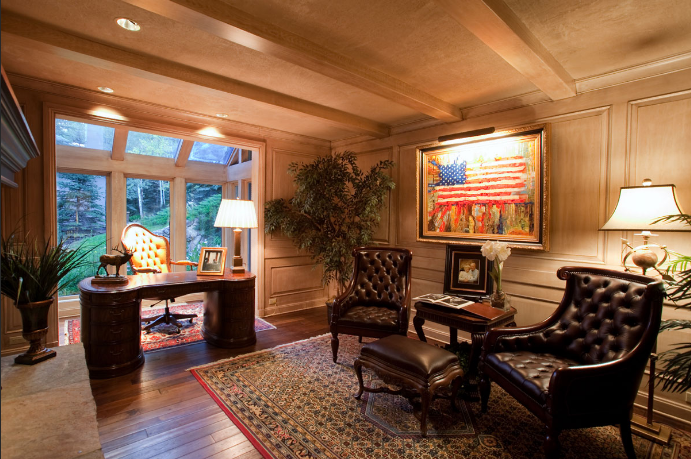 Own a President's Home in Vail, Colorado. 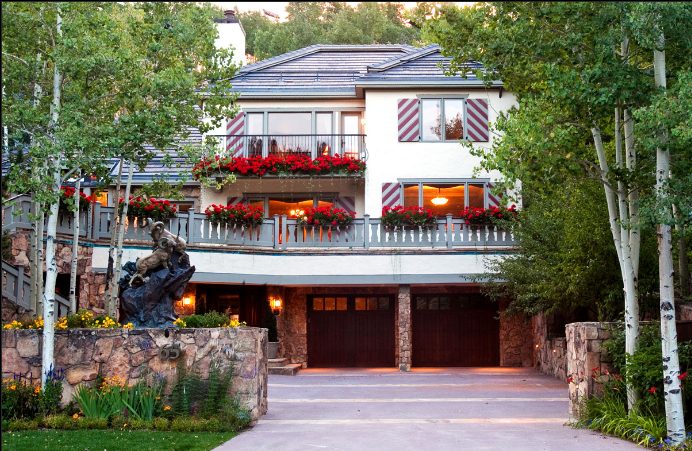 Read more about The Ford Residence at Beaver Creek, Colorado is on the Market!